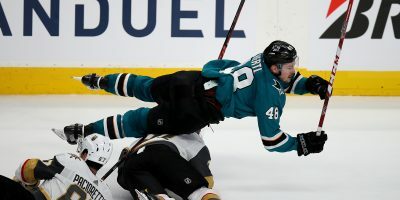 The Sharks went into Staples Center on a tear, having won four straight and eight of their last nine games. 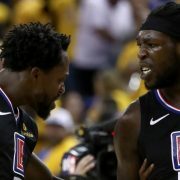 But they left Los Angeles on a sour note to conclude 2016, falling 3-2 to the Kings on Saturday in a game where they were dominated for a majority of the 60 minutes. This story has been updated with quotes and additional material from the Sharks dressing room at Staples Center. 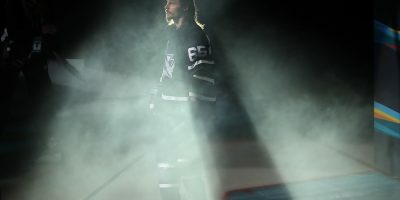 A Kings team with five losses in six games entering the night was hungrier and perhaps fresher than the Sharks (23-13-1), who seemed to coast into the New Year’s Eve affair after winning on Friday at home over the Flyers. The Sharks seemed to wake up in the third, though, cutting a 2-0 lead in half just 12 seconds in. Brent Burns ripped a wrist shot from the point that squeaked past Kings goaltender Peter Budaj. It didn’t take long for the Kings (18-15-4) to respond as Jeff Carter sped into the zone minutes later and beat Martin Jones on a semi-break to push the lead back to two. But San Jose kept clawing back into a game in which it was outplayed by more than the final score. Kevin Labanc netted his seventh of the season at 13:57 of the third to make it a one-goal game again, wristing home a shot from the left circle after a shot from the point by Brenden Dillon popped back out. The Sharks got off to a sluggish start, falling behind 6-1 on the shot chart and 1-0 on the scoreboard early. Following plenty of zone time by the Kings, Tanner Pearson fired in a wrist shot from the top of the faceoff circles to give Los Angeles the first goal four minutes in. San Jose was fortunate to finish the first period down just a goal, as they were outshot 13-4. But Jones kept the Sharks in it, making save after save. 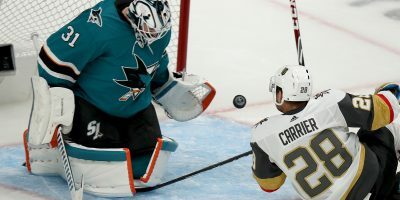 His defense also stood tall, with the Sharks recording 10 blocks in the period — Michael Haley made the most impressive one, a gritty diving block on a slap shot by Nic Dowd on an empty cage. San Jose had few scoring chances in the period, save for Dylan DeMelo hitting a post. Los Angeles soon doubled its lead early in the second after Burns took a tripping penalty. Drew Doughty made it 2-0 Kings on a slapshot from the right point that Jones didn’t see. 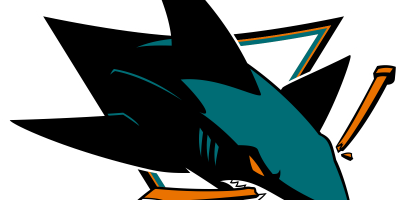 Still, the Sharks will end 2016 winning eight of 10 games and in first in the Pacific Division. Their first opponent in 2017 will be the Kings again, and they will seek a more inspired performance at SAP Center next Tuesday.